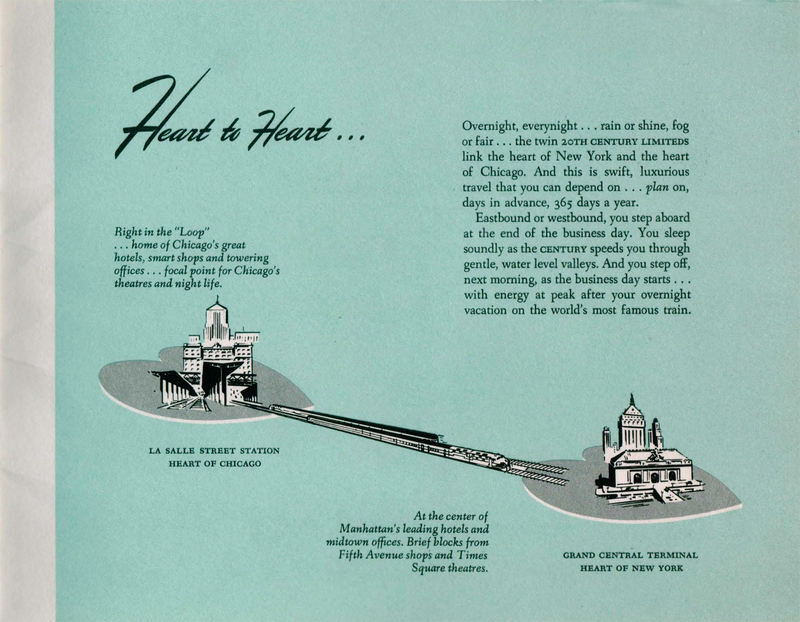 The New York to Chicago corridor was one of the most hotly contested passenger markets east of the Mississippi and New York Central’s 20th Century Limited competed with Pennsylvania Railroad's Broadway Limited for top honors, a rivalry which persisted for decades (based from historic traffic figures the Century did have a slight edge over the Broadway). 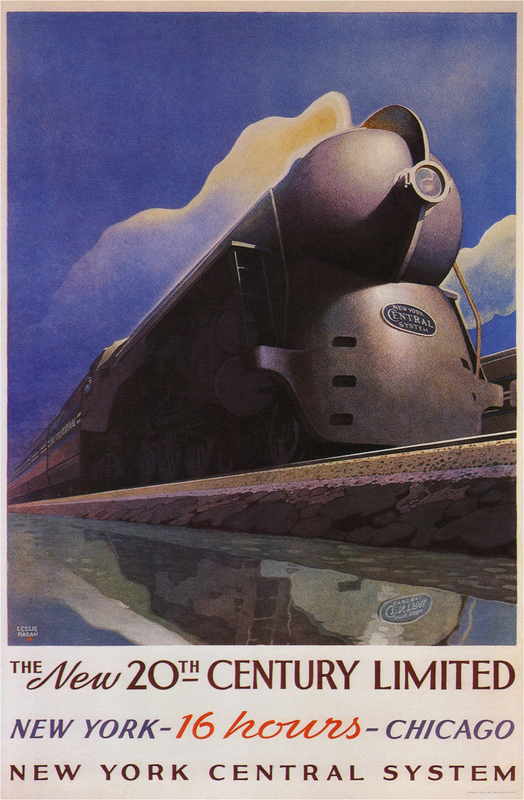 Few trains have carried the aura of Central's original streamlined version of the Limited, which featured perhaps the greatest example of shrouding ever applied to a steam locomotive. As flag bearer of the "Great Steel Fleet" the Limited's service was second-to-none, matched only by the Broadway. As interest in rail travel waned after World War II and a merger with Pennsylvania looming by the late 1960s NYC chose to discontinue its once proud creation fearing service would slip unacceptable levels. 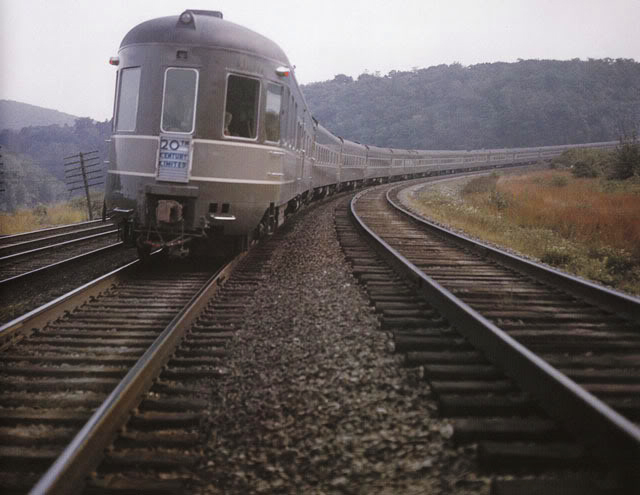 The 20th Century Limited traces its history back to 1902 when it was originally inaugurated that year between New York and Chicago (the Pennsy began running a similar plush train between the two cities that year as well; known as the Pennsylvania Special it was renamed the Broadway Limited in 1912). For the first thirty years both the Limited and Broadway were quite conservative and changed little aesthetically, using standard heavyweight passenger equipment and traditional steam locomotives. 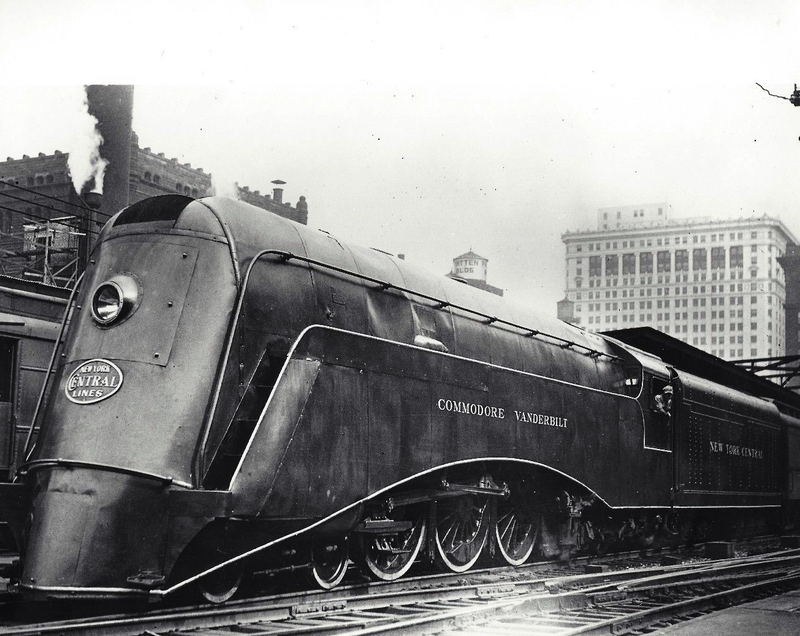 However, when the streamliner craze took root in the 1930s everything changed. 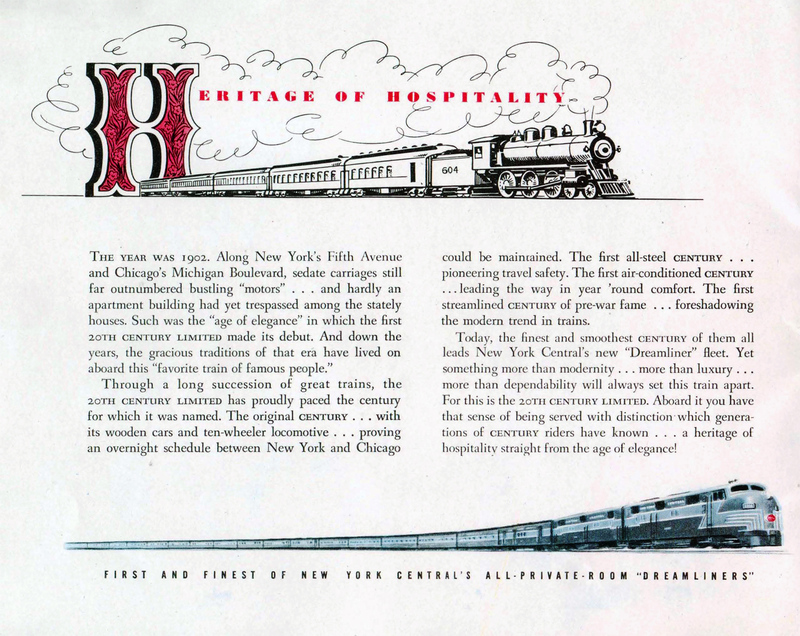 The New York Central was the first of the rivals to begin dabbling in the new concept. During 1936 it rebuilt and modernized heavyweight cars (taking a cue from the B&O) for the its new Mercury, running between Detroit and Cleveland. Rather pleased with the train's ridership results the train brought Central began strongly considering upgrading its flagship. With no streamlined train yet of it’s own the Pennsylvania approached the Central wondering if the latter would be interested in a joint effort of streamlining their flagships. The two parties ultimately agreed to the endeavor, which was more about saving money than any kind of common partnership; by placing their order together they reaped the benefits of reduced costs. The builder of their trains was the industry standard of the day, the Pullman-Standard. What’s interesting is that both roads' sets of cars were virtually identical from a blue-print standpoint although here, the similarities ended since each company chose different industrial designers to decorate and style their trains. With its order of 62 cars ready to receive their interior and exterior cosmetic touches the Central tapped distinguished industrial designer Henry Dreyfuss. What he created has been argued as the most beautiful and endearing passenger train ever created. While that point is certainly debatable Dreyfuss undoubtedly brought to life a stunning train. To create Central’s flagship Dreyfuss used a process of keeping elements in their basic form when laying out different aspects of the train (a concept known as “cleanlining”). Similarly Dreyfuss kept the theme of New York City and urban settings throughout the train and used tones of light and gunmetal grey for the interior and exterior (this was particularly stunning inside, matched against the urban theme). For instance, the diners served double duty. During the day they were used in their as-intended function, providing exceptional meals that rivaled the most exquisite restaurants of the day (or today). However, after the final evening meal was served the white tablecloth linens would be replaced with rust-red linens and the car would become a nightclub known as “Café Century.” Dreyfuss also broke up the diners to make passengers feel less like they were in railroad cars and more as if they were in an actual restaurant using glass wall partitions. Perhaps Dreyfuss’ crowning achievement with the Limited his layout of the sleeper-observation. Here he used urban murals, soft lighting, the train’s ubiquitous gunmetal gray colors, and touches of partitioning to group passengers together in seating of twos or threes (which featured blue leather upholstery). Coupled with Art Deco artistry and the car was something to behold. As Loewy had done with the Broadway, in the 20th Century Dreyfuss, near the back of the car, partitioned the observation. He sectioned off the extreme end of the car (by way of a large urban mural and a rounded loveseat with table) with seats facing towards the windows so passengers could watch the landscape retreating away from them; at the time this was quite a radical change from traditional layouts. Unlike the Pennsylvania, which interestingly never bothered to match its locomotives with the rest of train, Dreyfuss and the Central kept everything linear using tones of gray for the livery. For power the train was led by specially streamlined 4-6-4 Hudsons. The New York Central owned many examples of this locomotive type but only the Class J3a's received the beautiful treatment, ten in particular; #5445-5454. 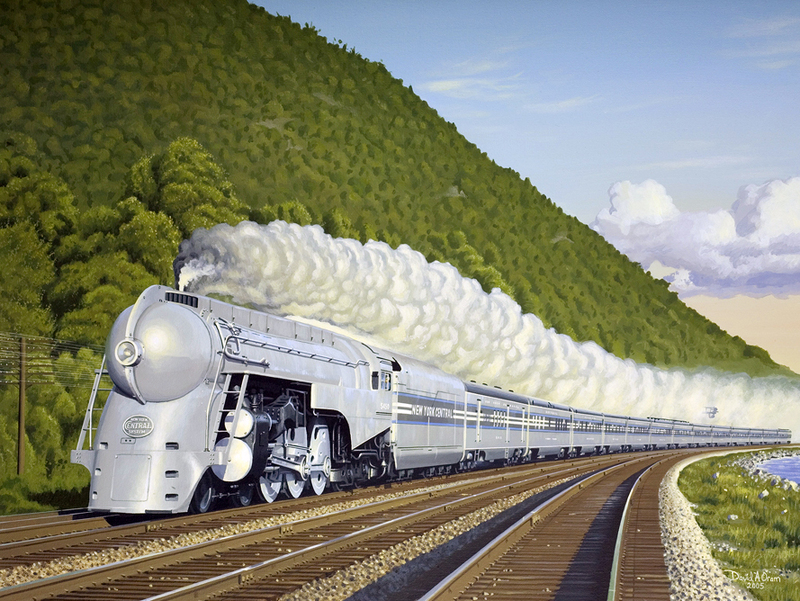 The steamers were manufactured in 1938 by the American Locomotive Company (Alco) and in a rare case had their streamlining applied at the factory. The work, of course, was closely monitored by Dreyfuss himself and the Hudsons became one of the most endearing streamlined steam designs ever conceived. They featured a gunmetal/aluminum livery to catch the eye and match the rest of the consist while the subtle, yet unmistakable sheathing allowed the running gear to remain exposed for everyone to witness the power of the locomotive in motion. Finally, the curves and angles made the Hudsons appear in motion even when they were not! The signature trait of the steamer was its bullet nose and distinctive protruding fin, which wrapped vertically all of the way up the nose and was given a flushed finish to the back of the cab. All in all, everything from the leading Hudson to the sleeper observation, inside and out, exuded speed, elegance, and royalty. 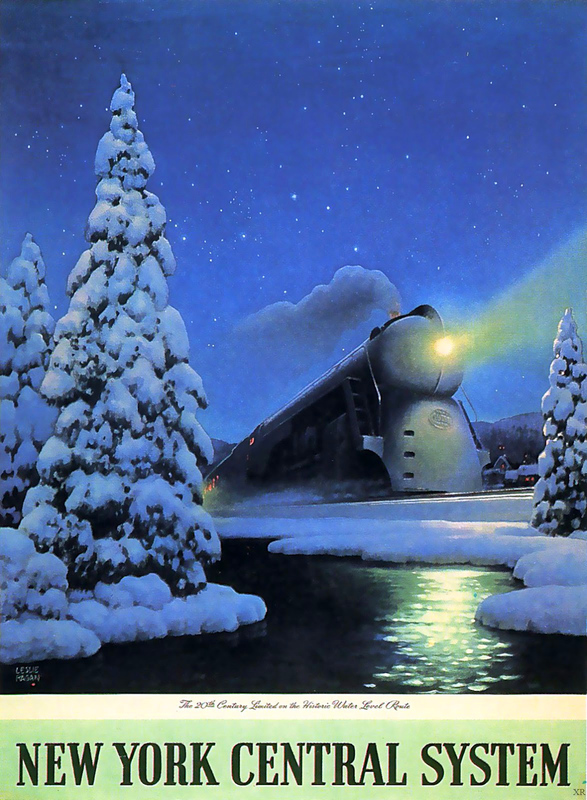 Their appearance became one of the most endearing memories from the streamlined era and the locomotives' bullet-nosed, clean look continues to inspire in today's logos and corporate designs. Aside from their good looks, however, the J3a's were capable, powerful machines that featured many of the latest technologies in steam power from Elesco feedwater heaters to roller-bearings mounted on all locomotive and tender axles. According to SteamLocomotive.com they provided 20% more power than their earlier counterparts and could cruise at speeds of up to 85 mph. Unfortunately, the beauty of these locomotives lasted for only about a decade, except for #5450 which suffered a boiler explosion in September of 1953. After World War II the other nine lost their shrouding between March of 1946 December of 1947. None were ever saved for posterity. 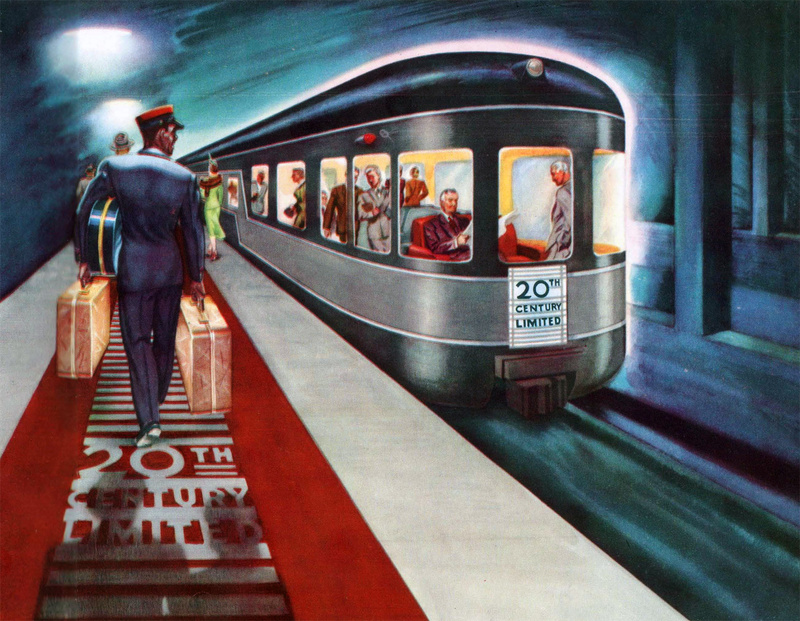 The 20th Century was built for style and stardom (the train conveyed the New York lifestyle) and it tailored perfectly to young executives and “new money.” So popular was the train that the Central often dispatched two consists, one in each direction. Both the PRR and NYC misread the boom in WWII traffic and spent millions of dollars upgrading their respective passenger fleets as rail travel began its slow recession in the 1950s. While the Central purchased more in upgrades than the Pennsy it was also the first to call it quits with its flagship. In 1967, the same year that the PRR dropped “All Pullman” status on its Broadway Limited the NYC discontinued its 20th Century Limited at year's end, an ominous sign of just how derelict the passenger rail market was by that time. While arguments will persist over which train was most regal both reigned supreme in the east. Each train’s renowned status can be measured purely on how well it is remembered; after decades since each left the rails they remain well-documented in books, conversation, and for those who study the industry's history.